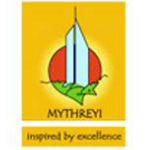 The brand Mythreyi symbolizes the unity of creativity, integrity and versatility, the philosophy which has catapulted Mythreyi Properties as one of the prominent Builders in Bangalore Mythreyi has triumphantly upheld these ethics since its inception in the year 1996, the decade which witnessed the emergence of real estate domain. The impetus for the dawn of Mythreyi was to provide superior contemporary living conditions with a traditional approach, bringing you closer to nature, focusing on Vaastu compliance and energy harmonization. Mythreyi’s inaugural project ‘Vithola’off Bannerghatta Road was a true testament to our principles, the project that put Mythreyi on the maps of top Bangalore builders. Sprawled over an expansive 2,17,025 sqt, the ‘Vithola’ complex facing a serene lake, comprising 140 homes, has a footprint of just 30% of the land area leaving the rest of the area to be landscaped, offering a natural green feel, enabling more light and air to embrace you. ‘Vithola’ was consciously built adhering to all urban luxuries while all homes were built with 100% Vaastu compliance. More success followed along the same lines of ‘Vithola’ with ‘Aikya,’opposite Meenakshi Temple, off Bannerghatta Road. Mythreyi has till date, since inception, delivered over 15 prestigious projects in Bangalore that proclaim the proficiency of Mythreyi Group. Inspired by the success, Mythreyi forayed into commercial ventures and the result being state-of-the art project like 511@Jayanagar to name a few. Mythreyi is currently involved in many projects, which are in stages of completion with plans drawn up for more in the future. With a host of successful residential and commercial projects, Mythreyi has earned the tag of being a proficient builder in Bangalore and the future looks very promising. With many premium projects being launched currently, the company has charted an ambitious growth for itself by tying up land projects totaling 1 million sqt in the year 2013 alone. Much more is anticipated in the coming years with the company looking at wide range of projects comprising budget houses, plotted developments and villas/independent houses.